Clive Thompson LRPS Photography: Kist advert with two very 1950s women in headscarves. 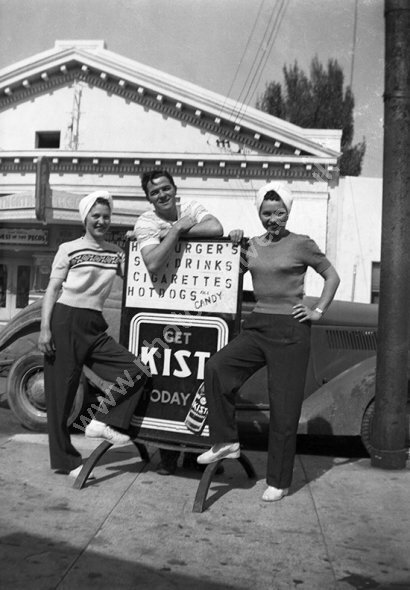 Kist advert with two very 1950s women in headscarves. The two women are wearing baggy trousers and headscarves with tight tops and both looking very 1950s. They are posing around a Kist drinks advert. For commercial use of this photo, including use on another website, please visit Alamy.com and search for M3N9G4. For a one-off print please see below.